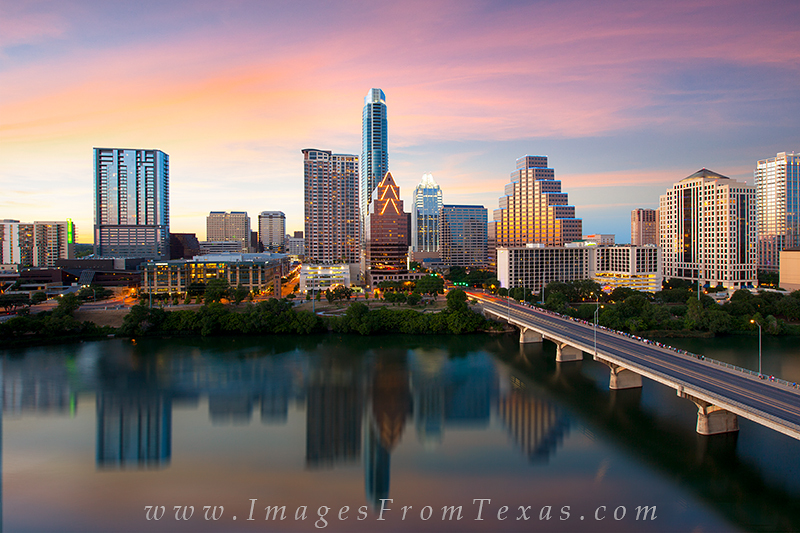 From the top floor of the Hyatt on Ladybird Lake, this Austin Skyline Picture was captured at sunset. Prominently displayed are the Austonian (the tallest building in Austin) and the iconic Frost Tower. In the foreground is Town Lake and Congress Bridge. Photo © copyright by Rob Greebon.